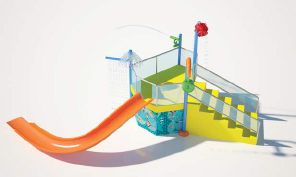 Slide shall be constructed of non corrosive, UV and chemical resistant, glass reinforced polyester material. 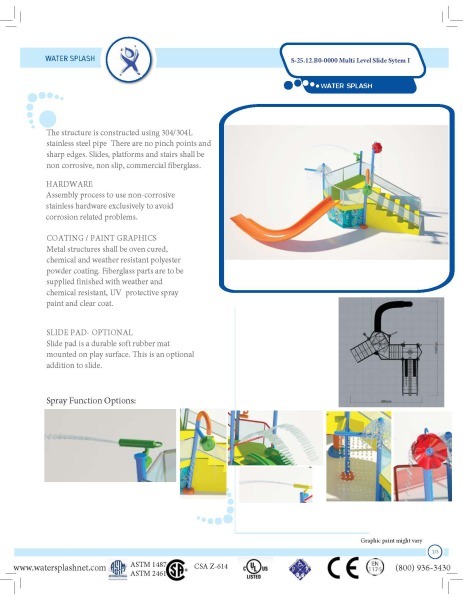 Splash park spray products shall be constructed of stainless steel material with powder coat surface, platform shall be constructed of commercial, UV and chemical resistant aluminum material. 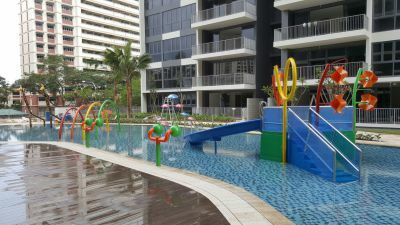 Surfafe shall be powder coated and covered with non slip roll on spray. 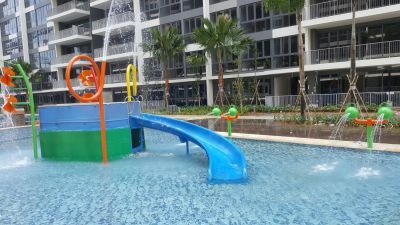 Spray elements shall be changed per project requirement.